Click the monsters in the same order that they move. This game is based on the old Simon game. The rules are simple. Click on the monsters in the same order as they make their scary sounds! Also keep an eye on the top status bar to see if it is your turn. Use your mouse to click the monsters when it is your turn to play. If you want to play Boo games online you have come to the right place! GamesLoon adds new Boo games every week. 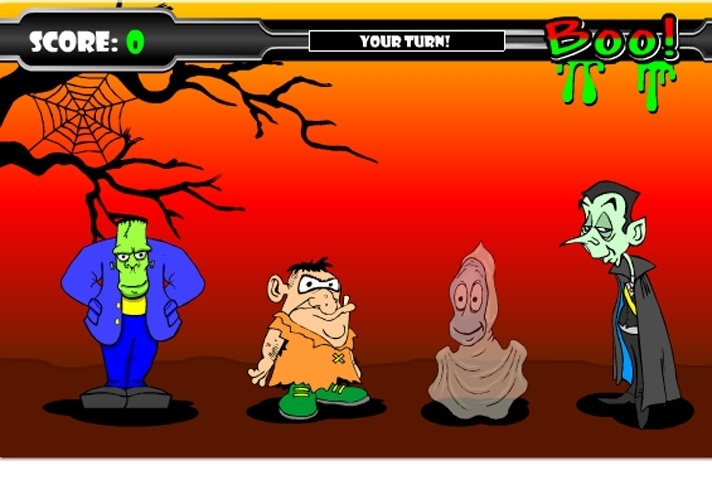 This is your game portal where you can find the biggest collection of free Boo games online. Do not forget to rate our Boo free online games while playing!